Bridges in Medicine, Inc. is a multi-dimensional approach to comprehensive healthcare. The very premise of Bridges in Medicine is to integrate conventional and complementary medicine for an individualized health plan. We believe that healing and wellness best occur when patients have open communication with their practitioners. The emphasis of our approach is on proper healthcare education, informed decisions, and a deeper responsibility on the part of the patients with their practitioners. This directions opens the door to a personal healing journey. 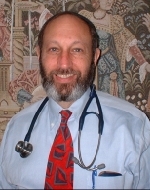 Bridges in Medicine was founded by Jeffrey Stuart Sollins, M.D. The concept has been developing over twenty years. Dr. Sollins completed a residency program in Internal Medicine at the University of Maryland School of Medicine in Baltimore. His interests in alternative and complementary modalities grew out of his love of music and interest in the martial arts. Each of these areas deal with creativity, visualization, focus, concentration or intent, and each has specific body/mind/spirit result. Most importantly, both martial arts and music bring the individual to higher levels of consciousness. It is Dr. Sollins' belief that by opening those Doors of Perception, (1) we create an internal environment where healing can best occur.